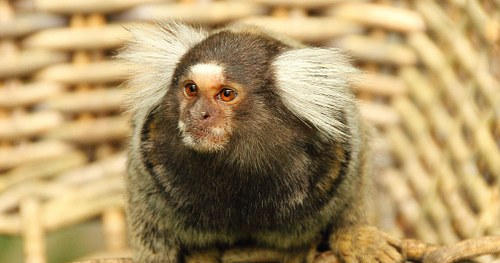 Marmoset: Also known as zaris is a New World monkey species. Most marmosets are about 20 centimeters long. Different from other monkeys, they have claws as opposed to nails and tactile hairs on their wrists. They lack wisdom teeth and their body temperature is unusually variable, changing up to 4 degrees Celsius in a day. Marmosets are native to South America, but have also been spotted in Central America and Mexico. There are currently no items matching "Marmoset".